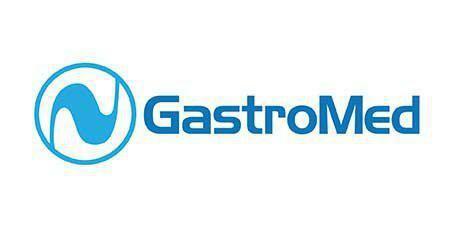 GastroMed is a group of experienced physicians who specialize in the treatment of gastrointestinal disorders. The group of board-certified gastroenterologists has decades of combined experience, providing quality healthcare to the South Florida community. GastroMed has six medical offices throughout the Greater Miami area and Homestead and a medical center, The Endoscopy Center, where many outpatient procedures can be performed. The Endoscopy Center features the latest tools and technology, and it is conveniently located in the heart of Miami, on Southwest 8th street and 51 Avenue, near Coral Gables. In addition to the medical center, GastroMed’s physicians have affiliations with South Florida’s premier hospitals, providing convenient patient access and the best quality healthcare in the field.Their continuous involvement with clinical research, medical education and training allow GastroMed’s physicians to stay up to date with the latest techniques, research, and treatments. Do you struggle with constipation or diarrhea? Are you suffering from pain and cramping or gas and bloating? It’s hard to know if you’re experiencing basic tummy troubles or whether you have a more serious issue like IBS, but we can help. You may be tempted to procrastinate getting a colonoscopy. But don’t. Whatever unpleasantness you perceive about having this diagnostic procedure, know that it is the best tool you have in helping to prevent colorectal cancer. Read on to learn more. When Does Diarrhea Warrant Medical Intervention? Everyone can expect to experience diarrhea at times. But is there a time when you should see your doctor about it? Yes. Find out when diarrhea warrants a visit to the doctor or maybe even the emergency room. The Endoscopy Center features multiple state-of-the-art procedure rooms and a central recovery area—which is directly monitored by a nurse station. A pleasant waiting room or waiting area is available for family members and others who accompany the patient. Each procedure suite is equipped with the latest proven technology for outpatient procedures. The nurses station has an unobstructed view of the recovery room. This area is equipped with beds, which can be open for the nurses’ visual monitoring when necessary, or can be closed off with curtains for privacy. The facility can accommodate individuals with physical limitations. There are no physical barriers to prevent access to the interior facility. If you need any special assistance, please let us know prior to your appointment.